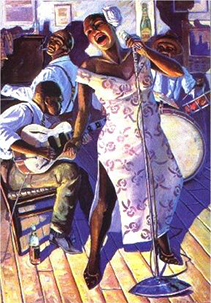 Blue Chicago offers live Chicago Blues 7 nights a week. Blue Chicago showcases artists who perform urban blues music known as Chicago Blues. Blue Chicago presents vocalists who both belt out and whisper the musical passion of Chicago Blues. The music of Blue Chicago illustrates the history of the migration of many African Americans from the Southern United States to the Industrial Midwest. Blue Chicago brings you the very finest talent in authentic Chicago Blues. You will be clapping and tapping your feet to the great music of all the Blues talent showcased every night at Blue Chicago. 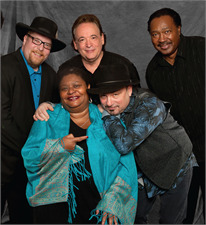 The artists at Blue Chicago rock the house nightly with authentic Chicago Blues. 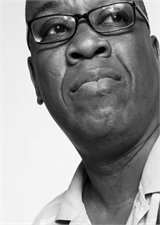 Blue Chicago is internationally known for drawing the audience into an intimate experience of real Chicago Blues. 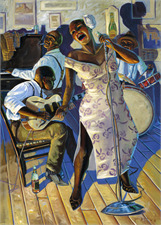 Blue Chicago presents various styles of authentic Chicago Blues that guarantee an unforgettable experience. Blue Chicago offers a variety of drink choices to enjoy while experiencing the best blues artists in Chicago. Blue Chicago is conveniently located in Chicago's River North entertainment district. Your seat is waiting.